At the individual level [Emerson and Smith note], selfishness is usually considered negative, but at the group level, it is considered moral and just. Indeed, at the group level, it is not called selfishness, but morality, service, sacrifice, or loyalty. Although we are selfish if we always look out for our own individual needs first it is considered wrong and immoral if we do not consider the needs of our family first, ahead of other families. We house our families first, and only if we can spare extra do we help house other families. To do otherwise is considered immoral or, at a minimum, a sad case of misplaced priorities. The story of Elijah and the widow notwithstanding. For this reason, relations between groups are always mainly political rather than ethical or moral. As Niebuhr says, "They will always be determined by the proportion of power which each group possesses at least as much as by any rational and moral appraisal of the comparative needs and claims of each group." The pharmacist has power over the woman, and he wields it to his satisfaction and, he thinks, to his ethical credit. The paradox is, in behaving ethically as he understands it, he actually behaves selfishly, which is to say: unethically. 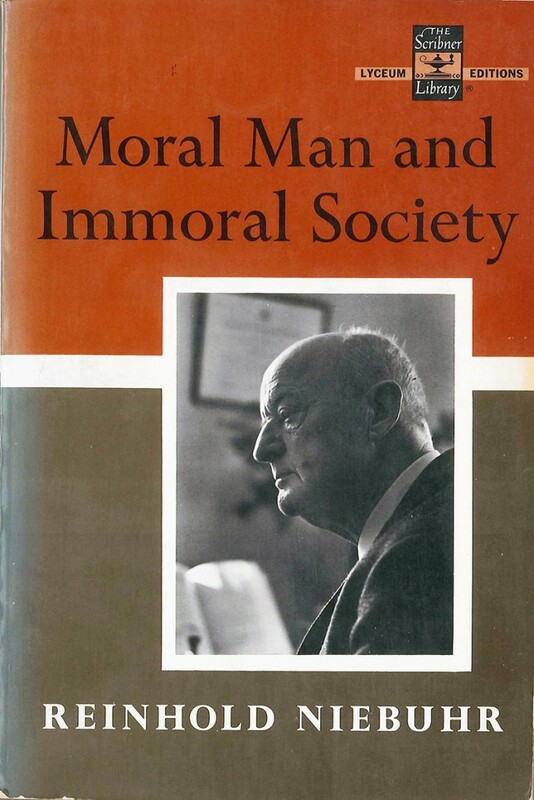 This is the paradox of Reinhold Niebuhr's Moral Man and Immoral Society in a nutshell. And the problem with allowing pharmacists to decide who to dispense drugs to, and for what reasons. If that's how he felt why was he working in a pharmacy that carried the drugs? You finally got me to get a copy of Niebuhr's work. When I realized I could get the ebook eersion on my Kindle for $2.39 I was embarrassed I hadn't gotten it sooner.